Since 2008, Flue and Flame has been committed to providing quality service to homes in Wake, Durham, Orange, and Chatham counties. Based in Cary, Flue and Flame is a locally-owned, family-operated company. LOOKING TO SCHEDULE A SERVICE CALL? You can schedule this ONLINE at www.flueandflame.com/schedule-now. You can send a message through Houzz but we often don't get the message right away. Get it done immediately at your convenience on our website!! 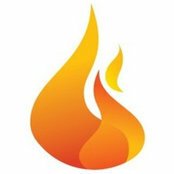 Flue and Flame knows how to turn “finishing touches” into works of art that then become the focal point of the space. Their spaces are full of unique touches and are unlike any other!